Skype with Family on Christmas Day! La Navidad and Transfer Week!! So before I get into things about my week, I just received my first transfer board! I am being transferred to New Brighton in the St. Paul zone! 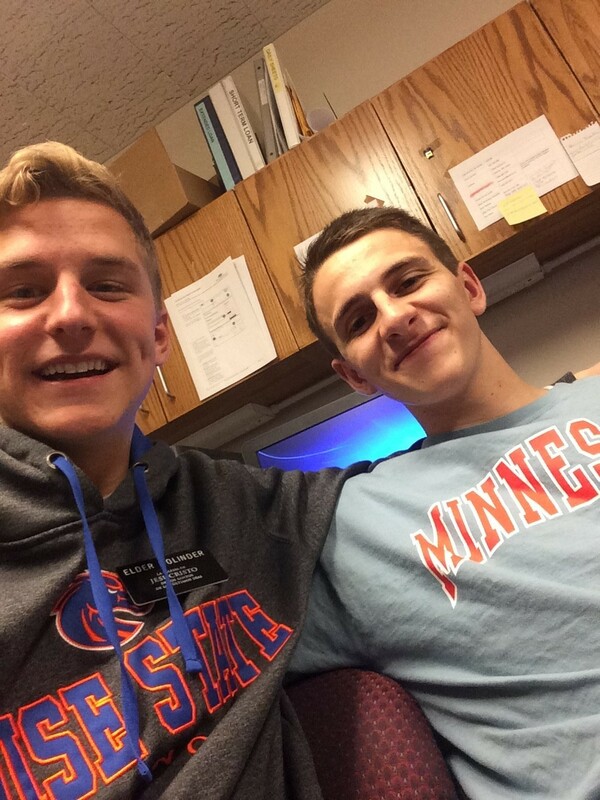 So, that will be fun to finish my training in the twin cities, but voy a extrañar mi compañero elder Callans mucho! Alright, now more about my week..
Great news! On Tuesday we had another amazing lesson with Salvador whom we met with last week. We extended an invitation to be baptized on March 12th, and he accepted! 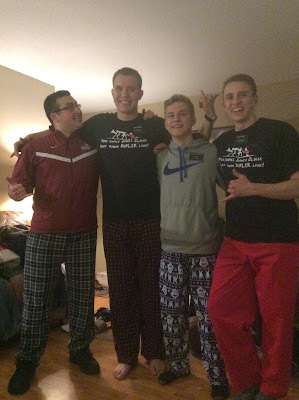 The spirit was strong and we could sense his desire to change his life and come closer to the Savior. He also mentioned that he doesn't have a Christmas tree, so we stopped by and gave him ours! Elder Callans said it was the most solid date set he's had in a while, and I can tell he is so humble and sincere. So, we have high hopes for him! Later in the week on Christmas Eve, we stopped by again to wish him a Merry Christmas and his sister was visiting. We were able to show her the #LightTheWorld video and it was so powerful. We testified of Jesus Christ and the infinite power of the atonement, and also of the incredible love that Heavenly Father has for each of us. It was one of the most powerful teaching experiences I've had and I will never forget the spirit I felt while testifying of the Lord Jesus Christ on the night before Christmas! On Christmas Eve we had a dinner with an investigator and her husband, Denise and Ivan, and some of their friends, and they made us slow-cooked Posole! The best part is, Ivan works as a chef in the Mall of America, so everything was super fresh and it tasted SO GOOD! We were able to share a quick Christmas message with them, and also had a conversation with Ivan about how little children are saved in the kingdom of god through the grace of Christ and how the baptism of infants is an abomination in the sight of God. We invited him to read Moroni Chapter 8 in the Book of Mormon which explains more about it. Overall, it was a great night! On Christmas Day, our branch had a combined church service with the Crystal Lake Ward. Elder Callans and I, along with the Lakeville Hermanas (Sister Missionaries), got to translate for all the Hispanics in attendance! It was difficult for me, but still a really neat experience. I feel like my understanding and comprehension skills of Spanish have improved a ton in the past month, so translating from Spanish to English wouldn't be too difficult. But, translating from English to Spanish is a whole different feat. We sat in the conference room and had a microphone to transmit the translation to headphones given to the Spanish speaking people. 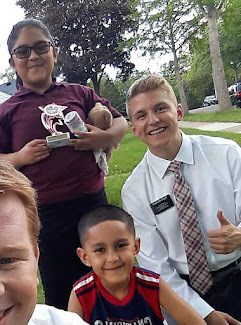 When it was my turn to take the mic, the talk started and I got about 4 sentences in and then got lost so I had to pass it off to Elder Callans haha. But, I redeemed myself and translated the entire closing prayer! The gift of tongues is real!! That afternoon we had a fat turkey dinner with the Lopez Family and it was great! He is a member of our branch presidency, but his family attends the English ward so they invited the English elders over as well. Then, of course, I got to skype the fam bam which was wonderful! We were incredibly blessed to have a second Christmas dinner with a guy who lives in Rosemount named Pepe and his friend Benjamin. Pepe is from Mexico and Benjamin is from Ecuador. So Benjamin cooked us a crazy Mexican fish stew called "Siete Mares" (Seven Seas). 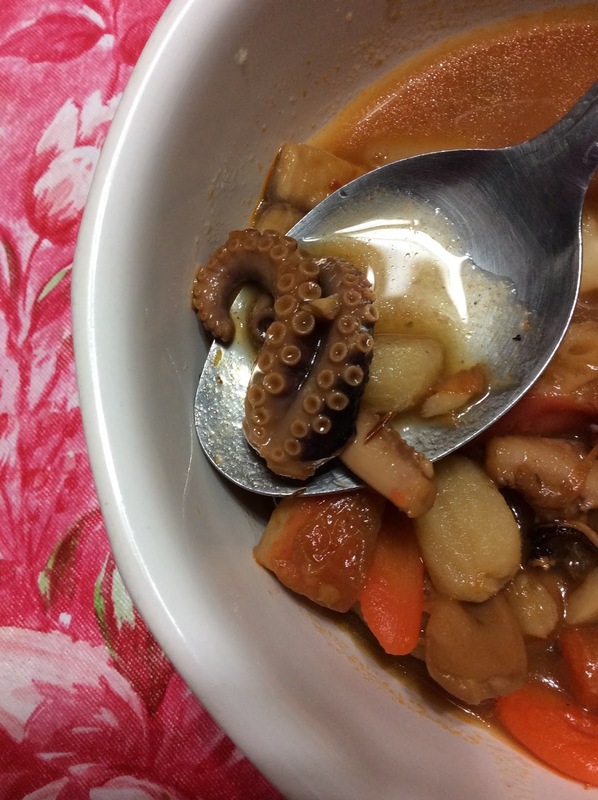 It had potatoes, carrots, shrimp, crab, calamari, catfish, clams, and octopus! It was interesting to say the least, but surprisingly it was pretty good! 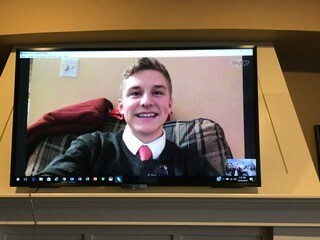 We then showed "El Nacimiento," a video from lds.org on the birth of Christ, to Pepe and once again the Holy Ghost was really strong while we testified of the Savior! I hope all of you had a fantastic Christmas! I am so grateful to have had the opportunity to teach and testify of Jesus Christ during this holiday season! I know He lives, and I know this gospel is true. I hope all of you have a Happy New Year!